You are here: Home / Culinary Experiences / Cheese on a Plane? You Betcha! Airline food, depending on where you get it from, can be either a pleasant surprise or a terrible mystery. Most of the time, in-flight catering keeps it safe, often holding a ration of cup noodles and biscuits in case there are queasy stomachs on board. Every now and then, they step it up a notch—sometimes featuring interesting new viands into the mix, evocative of their host countries or typical travel territory. But every so often, an airline would offer a truly world-class culinary experience, often for their business class passengers. A slab of meat, a sushi platter, maybe a fancy dessert here and there. There is, however, one dish that seems to transcend its highbrow categorization and become a treat for the everyman—the cheese platter. As we mentioned in previous posts, airplane food isn’t as easy as putting in typical fare you’d get at your casual dining resto or convenience store into in-flight catering. You’ve got other things to consider, like whether they contain any alternatives for those more prone to motion sickness, or if the in-flight menu adds to the travel experience. Cheese contains a compound called butyrate, which is said to help you slim down, promote gut health, and potentially fight off diabetes. Especially when you travel a lot, as you’d often find yourself at are a lack of convenience and opportunities to consume and work on these aspects of your health. 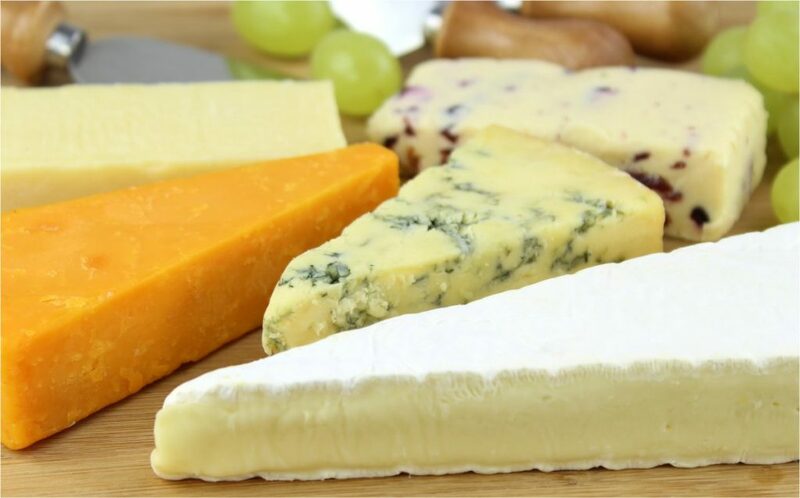 And unlike other food products, cheese is one of those treats that taste better the more you age it—as long as it’s been produced under standard safety procedures, of course. So no need to worry about supply. Avoid stinky cheeses. As complex and tasty they may be, they’re generally not the best to have when you’re on any transit vehicle, be it on land, sea, or air. Especially if you’re serving them in-flight, as planes don’t offer the spaciousness cruise ships or other areas have. Have a centerpiece. The great thing about cheese is how different each type tastes, be it subtle, intense, or intricate. When preparing your cheese platter, however, you might find that one cheese that outdoes the rest regarding texture and flavor profile. 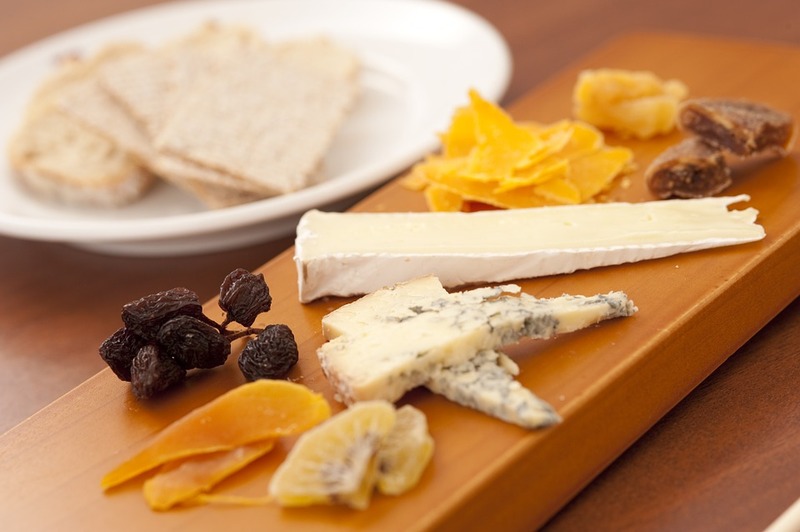 Aiming to have at least one outstanding cheese amidst the rest of your choices gives your passengers something to talk about while adding that needed pizzazz to an otherwise monotonous platter. Go for at least one familiar cheese. While cheese is generally a crowd favorite, certain kinds might be a little off-putting to some, especially if they taste too strong. That said, when planning your platter don’t forget to add familiar flavors, like cheddar. It’ll help ease out the rest of the complex cheeses, and hopefully, let your passengers warm up into the other types. Indeed, while the payoffs for interesting new plates and meals in-flight are high, they aren’t necessarily visible at first. 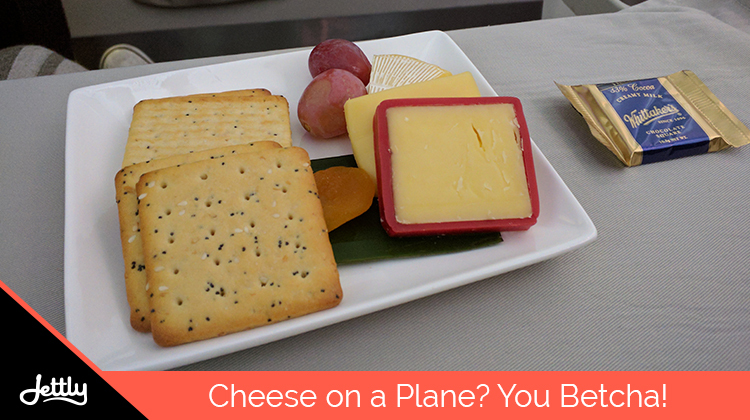 Not knowing if adding that cheese platter to your menu can be scary if you don’t see how your passengers will respond to it. But don’t worry—with Jettly Eats, that’s a risk you don’t have to take upon yourself. Avail of our in-flight choices now and let us do the job for you.